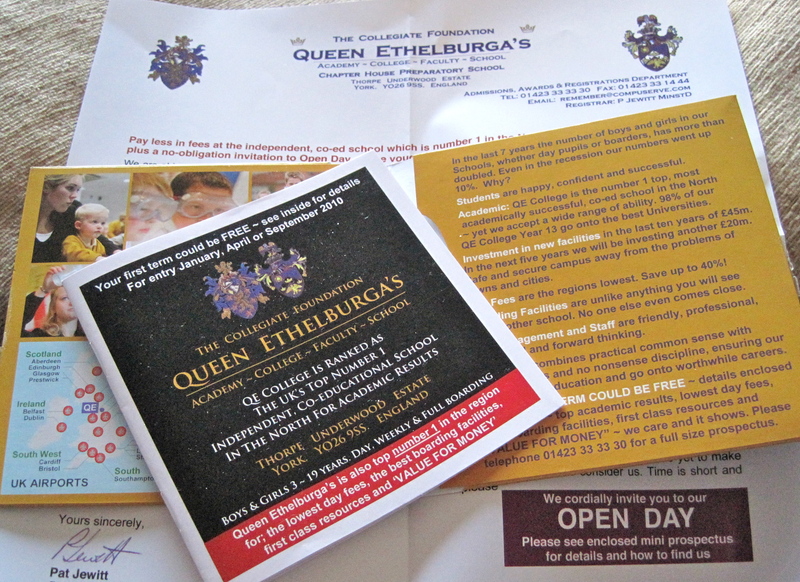 Saw your comment about Queen Ethelburga’s. So you know we bought an address list that was supposed to comprise families with school age children, where the total income of the family household is in excess of £100,000 per year and who live within a potential catchment area for boarding. We were told when we bought the list that there will be errors in it. If the percentage errors are above 6% of the list they refund part of the charge. So sorry you were troubled. We used a similar marketing campaign last year that was highly successful. Regards Queen Ethelburga’s.